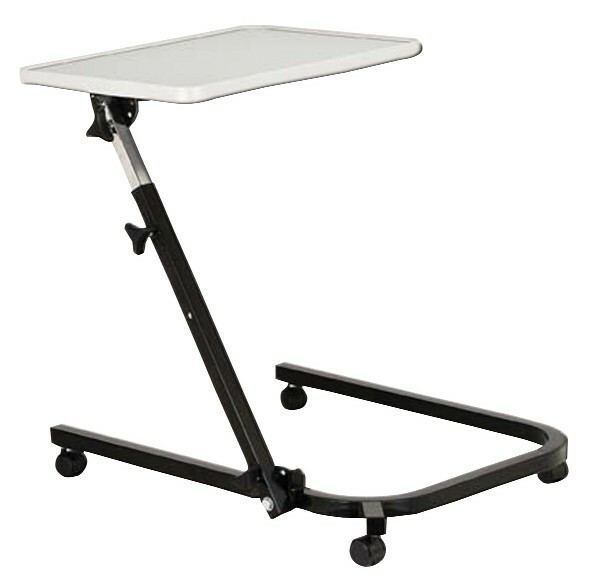 EZ Care Height Adjustable Pivot and Tilt Overbed Table, is designed to provide eating and work space for wheelchair users or for those who spend awake hours in bed. This table has an open frame base to slide under the bed or for wheelchair accessibility. 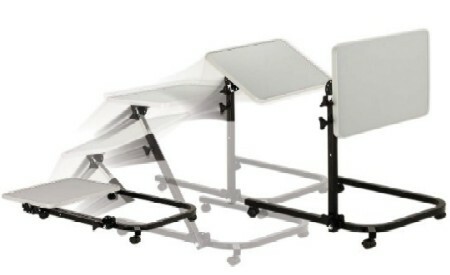 It has a laminate top and a C-frame base with four swivel casters. The table is supported by a height-adjustable column that angles upward toward the user from the right side of the frame. 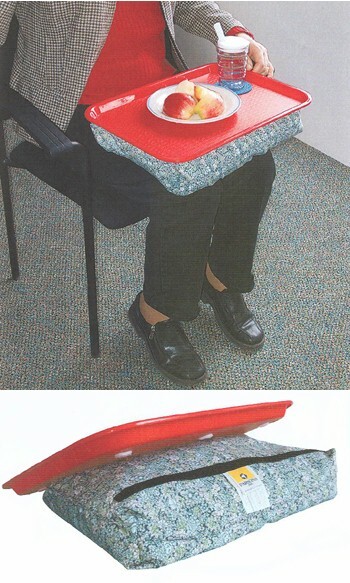 The table top tilts to accommodate reading and eating. Attractive overbed table doesn't look "medical"
An overbed table that doesn't look like you're having a stay in the hospital! This Overbed Table is actually quite attractive. The pivoting feature allows you to pivot the table in one of three positions from flat on the floor (for storage) to 90°. 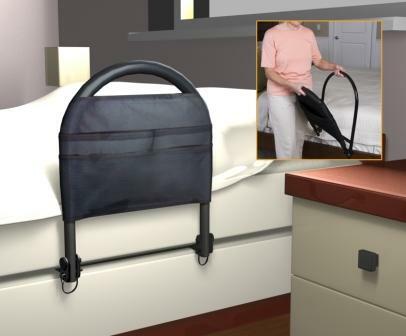 This allows the table top to be positioned closer to you when you are in bed or sitting in a wheelchair. The pivoting action is controlled by the 'mast" which will lock the table in place at the angle you choose. 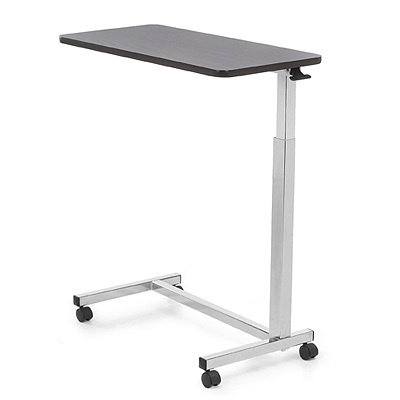 The mast also controls the height of the table; you may adjust the height to anywhere between 28 to 37 inches. You will be able to control the tilt of the table as well. The table top will tilt to the angle you have selected to give you a flat table surface. Of course, if you want a tilted surface, it will do that as well. The Tilt and Pivot Overbed Table rolls easily on its four, two inch casters. Two of the casters are locking to ensure the table stays in place when desired. 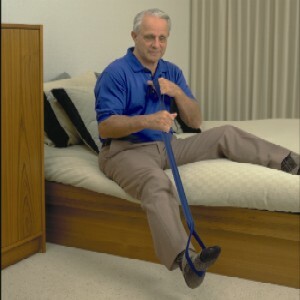 Easy assembly; the only installation required is to put on the casters. The "C" frame and mast are constructed of powder painted steel for durability and stability. The table top is constructed of laminate for easy care and cleaning. The Tilt and Pivot Overbed Table comes with a Limited Lifetime Warranty. Click on the "More Picture" button to see another view of the Pivoting Table.